LINCOLNSHIRE, Ill., Nov. 21, 2018 – CDW Corporation (NASDAQ:CDW), a leading provider of technology solutions to business, government, education and healthcare, announced today that Collin B. Kebo, senior vice president and chief financial officer, will present at the Credit Suisse 22nd Annual Technology, Media and Telecom Conference in Scottsdale on Wednesday, November 28, 2018, at 9:30 a.m. MST / 11:30 a.m. EST. 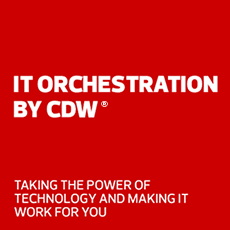 CDW is a leading multi-brand technology solutions provider to business, government, education and healthcare organizations in the United States, the United Kingdom and Canada. A Fortune 500 company with multi-national capabilities, CDW was founded in 1984 and employs more than 8,900 coworkers. For the trailing twelve months ended September 30, 2018, the company generated net sales of approximately $16 billion.